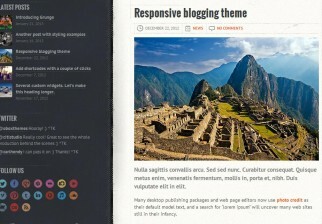 Socha is a very well built travel premium WordPress theme. Theme oozes quality, and looks the part out of the box. Highly customisable, the theme includes a variety of options and functionality. If you are looking for a high quality travel WordPress theme that will impress, Socha could be perfect. One of the best travel WordPress themes we have tested, the $40 price is well worth it in our opinion. Travel blogging can be a lucrative field these days. With affiliate arrangements, paid posts and reviews – this theme can easily pay for itself. Socha can suit a range of travel niches, from simple personal travel blogs, the exotic, tours, hot destinations, travel agency blogs and much more.